Earn $1.55 in Rewards credit (155 points) What's This? 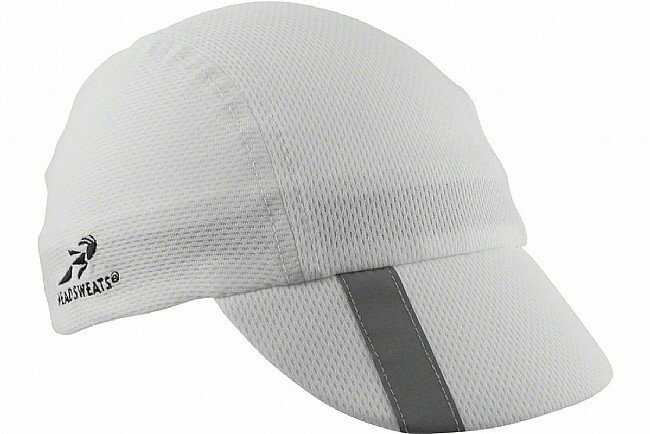 The Headsweats Cycling Cap is designed for optimal moisture wicking, comfort, and styling. Featuring a traditional look and fit, the Cycling Cap from Headsweats uses their Eventure™ knit fabric and an Eveture™ terry sweatband, preventing sweat and moisture from getting in your eyes or bogging you down. A soft bill is easy to adjust, allowing for comfortable riding under a helmet, or when you're walking around after your ride is complete. Soft bill flips up or down. Eventure™ knit fabric delivers optimal moisture management. Eventure™ Terry sweatband absorbs and wicks sweat away from the eyes. I've used Headsweats products many times and have been pleased with there performance. This product is an exception. Not because of performance, which I couldn't rate, but because of fit. For me, this product's fit is too tight. So, one size doesn't fit all. Be aware. It's might be a great product if your head is smaller but for me, it was too tight. I can't rate it for it's intended purpose because I wore it only a short time and took it off. Haven't used it since. So, I have no rating as far as its performance but give it a negative rating for fit. I should have tried it on before I bought it. It seems well made so I gave it two stars. If it fits you, it might work very well. Nice looking comfortable headgear... Bill is to floppy when soaked with sweat wont stay up.